Follow the Chinese New Year Parade led by a spectacular 175-foot dragon from Albert Square to Chinatown, where you will find traditional lion dances. So why not go for it, come and join us we are always friendly and welcoming, you'll soon be right at home before you know it. 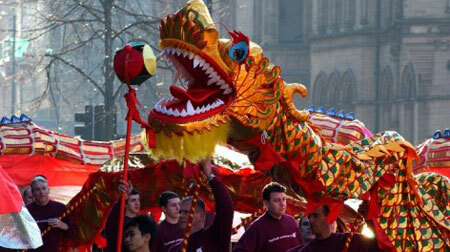 Follow the Chinese New Year Parade led by a spectacular 175-foot dragon from Albert Square to Chinatown, where you’ll find traditional lion dances, street food, two stages for Chinese dancing, music and acrobatics, a funfair and fantastic fireworks finale.